A senior-most judge of the Hyderabad High Court was recommended as the Chief Justice of Uttarakhand High Court. HYDERABAD: A senior-most judge of the Hyderabad High Court was recommended as the Chief Justice of Uttarakhand High Court. The office of the Chief Justice has fallen vacant consequent upon election of Justice KM Joseph to the Supreme Court. In this regard, the Supreme Court collegium has recently recommended the Central government the name of Justice Ramesh Ranganathan as the Chief Justice of Uttarakhand High Court. Justice Ranganathan was born in New Delhi on July 28, 1958. He graduated in 1977 and obtained law degree from Bangalore University and enroled as an advocate in AP High Court in November 1985. He was a government pleader from 1996 to 2000, and the additional advocate general from July 2000 to May 2004. 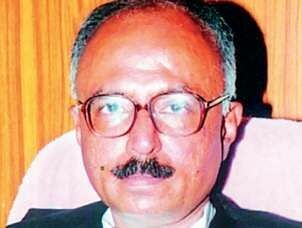 He was elevated as an additional judge of the High Court on May 26, 2005 and appointed as a permanent judge on February 20, 2006. Later, he was appointed as the Acting Chief Justice of the Hyderabad High Court on July 30, 2016 and continued in the post till Justice TBN Radhakrishnan assumed office of the Chief Justice in July this year.